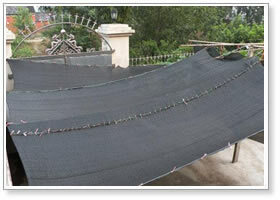 Shade Net:Anping TianRui Metal Products Co., Ltd.
Material: Polyethylene (HDPE), high density polyethylene, PE, PB, PVC, recycling materials, new material, Poly C, and so on. 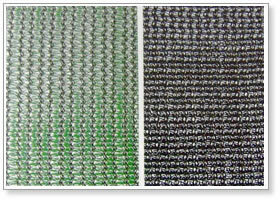 Weaving and characteristics: Weaving with anti-aging plastic woven silk, with a strong tensile, anti-aging, corrosion resistance, radiation, light and so on. 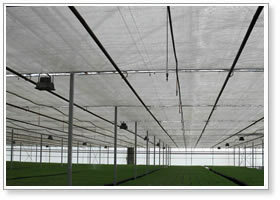 In summer, serve as a cover block light, rain, moisture, cooling effect; in winter and spring , there is a certain degree of insulation covering the role of humidification. 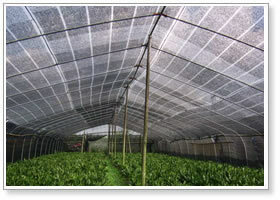 Specifications: The width of shade net is 90,150,160,200,220,250 cm. The main speciation is 12 and 14, the appropriate is 160-250 cm, the quality of 45 grams per square meter and 49 grams, the service life of 3-5 years. Uses: Mainly used for vegetables, mushroom, flowers, mushroom, seedlings, herbs, ginseng, ganoderma , other crop cultivation and aquaculture protective poultry industry and so on .There is a significant results to improve yields.